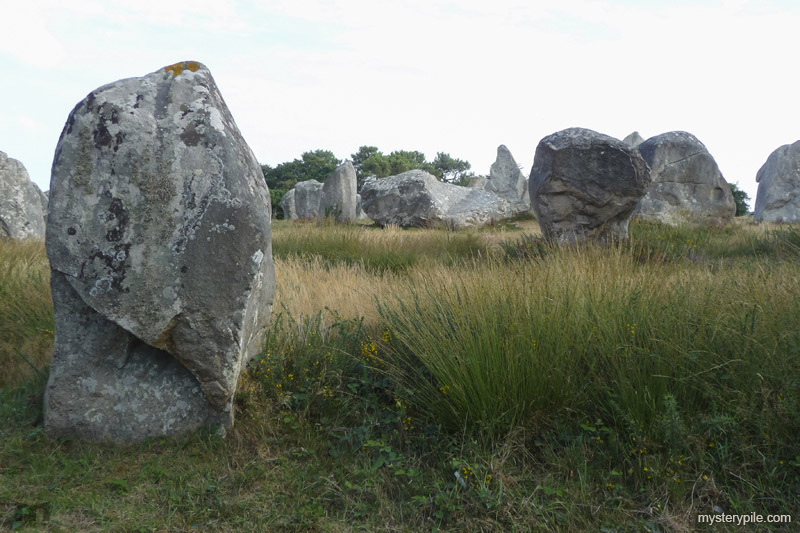 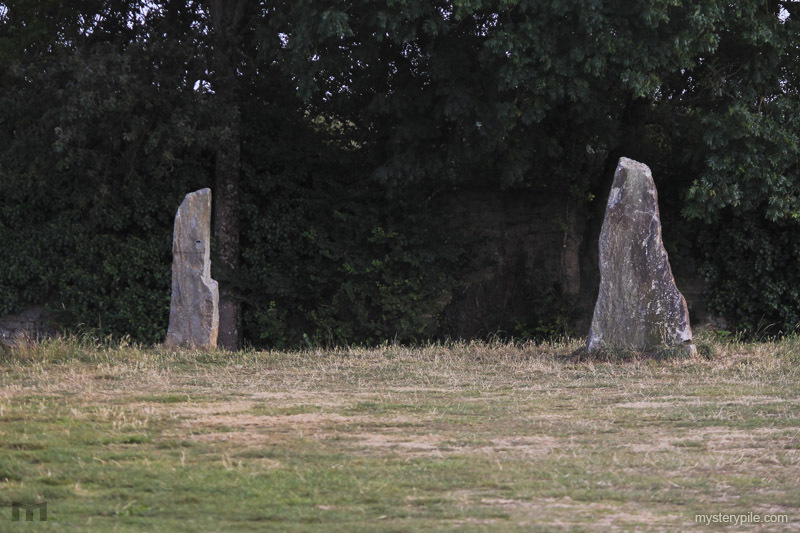 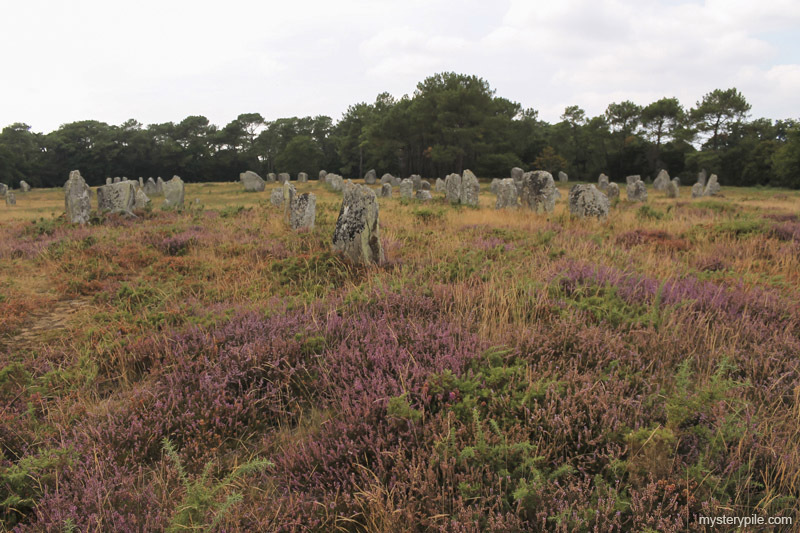 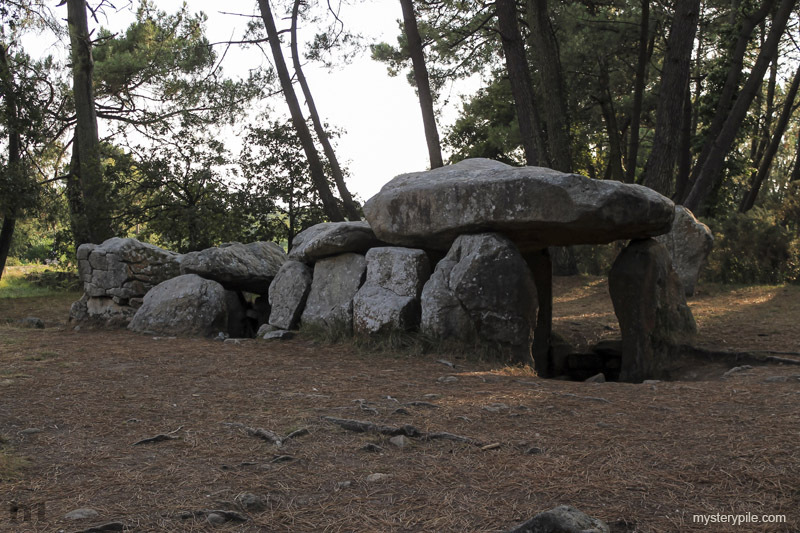 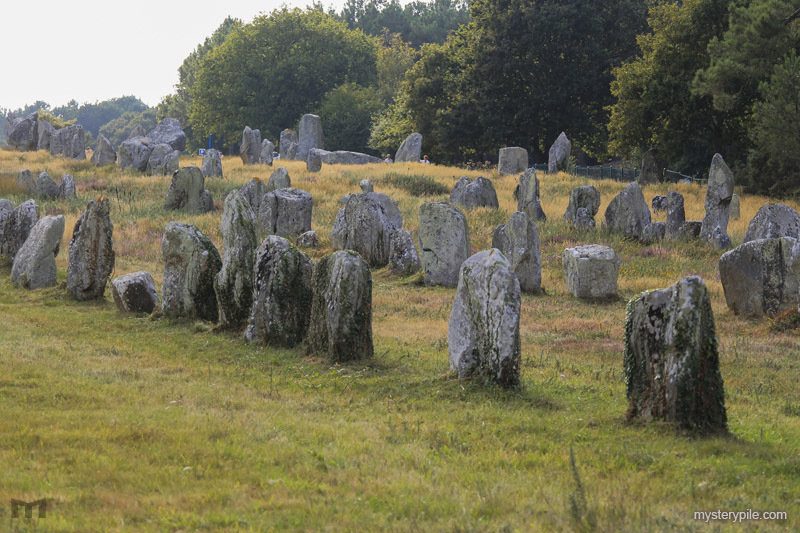 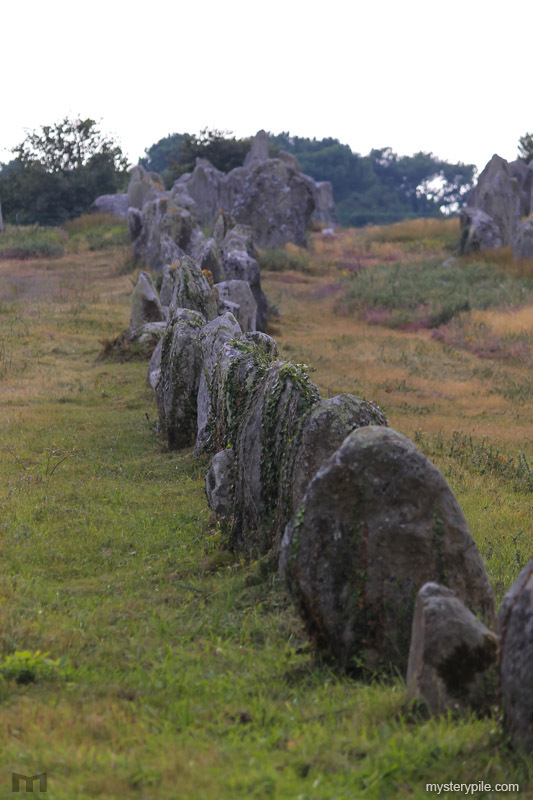 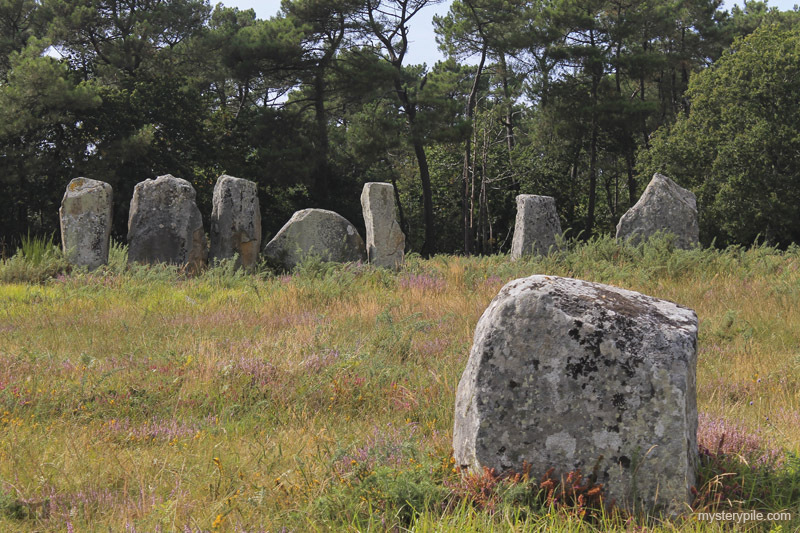 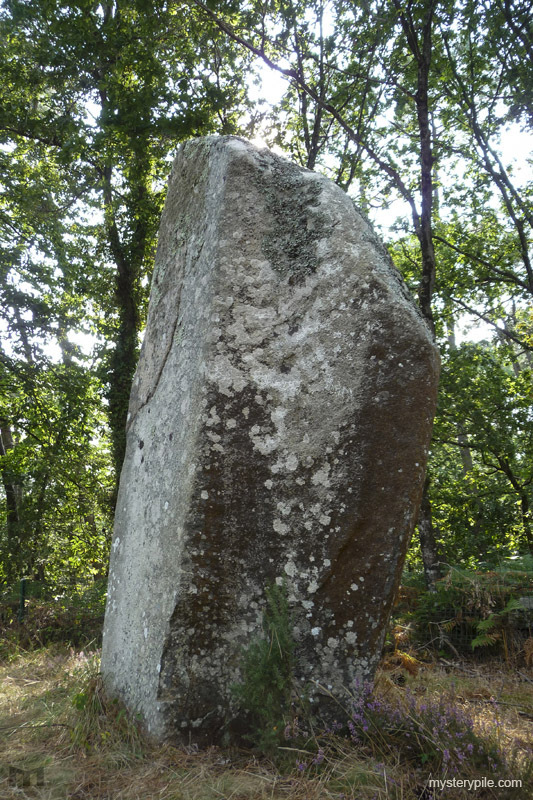 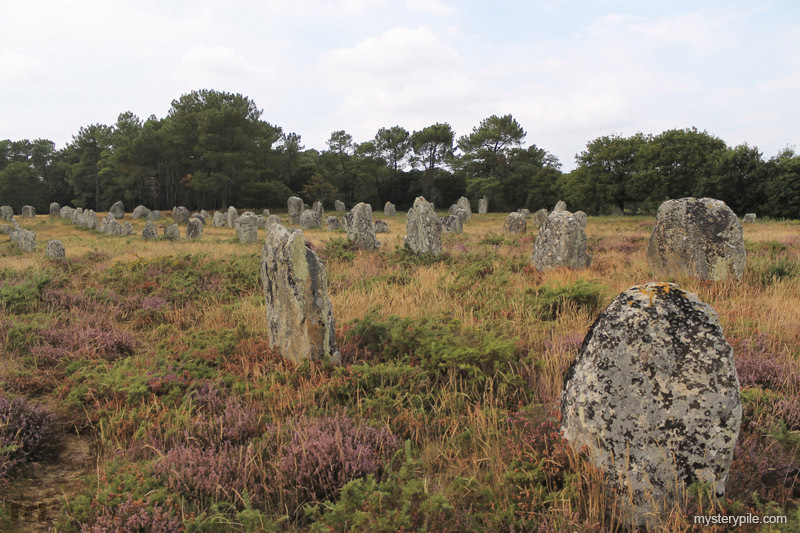 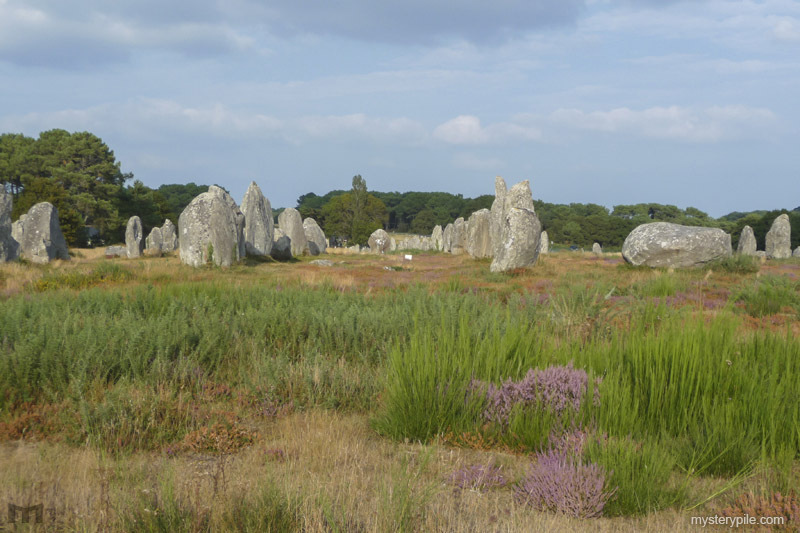 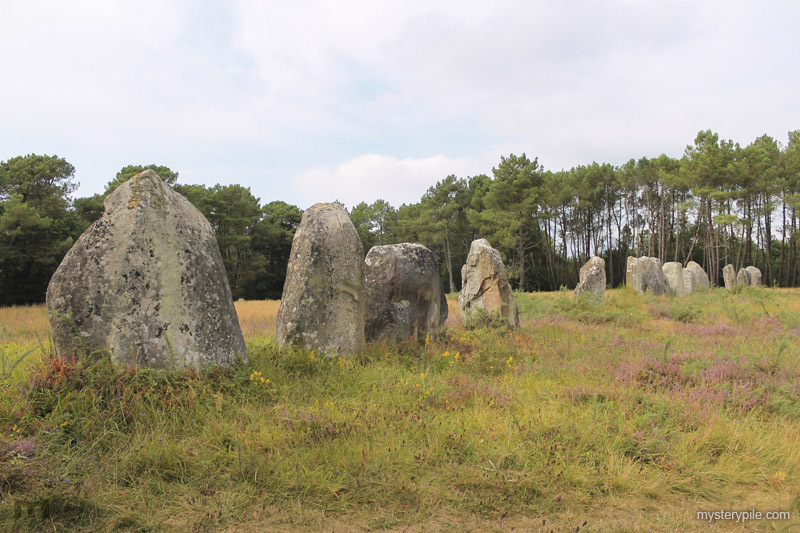 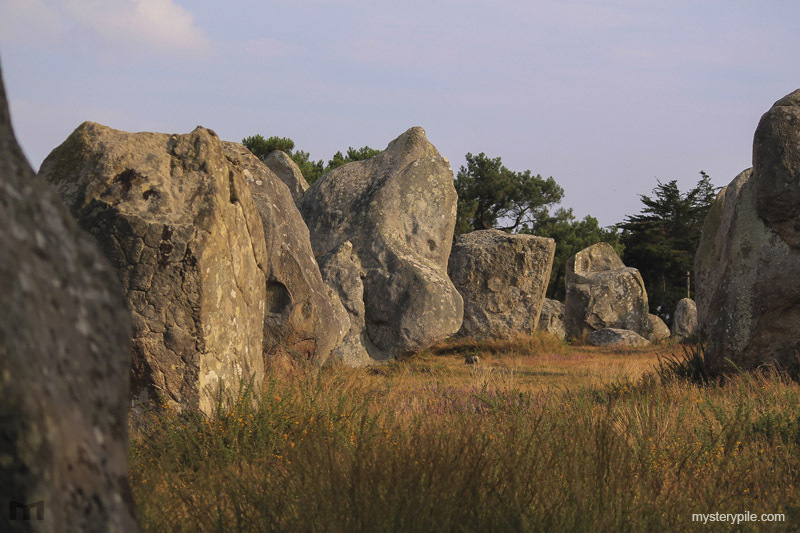 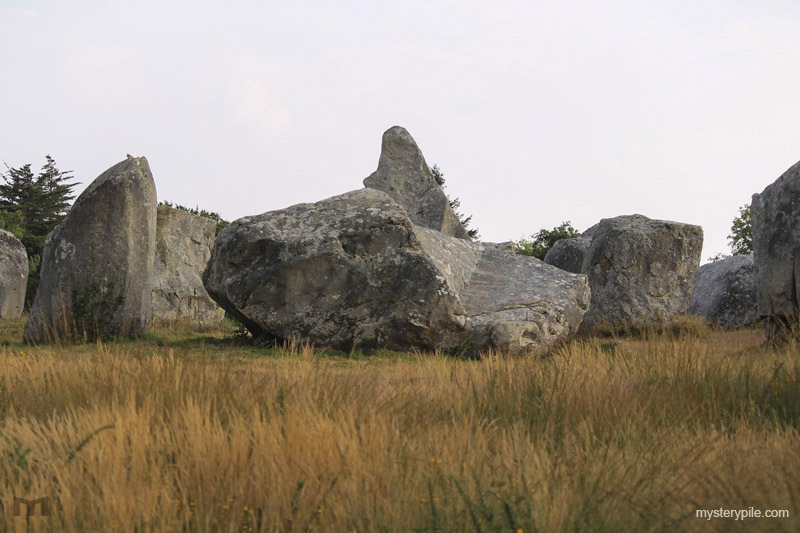 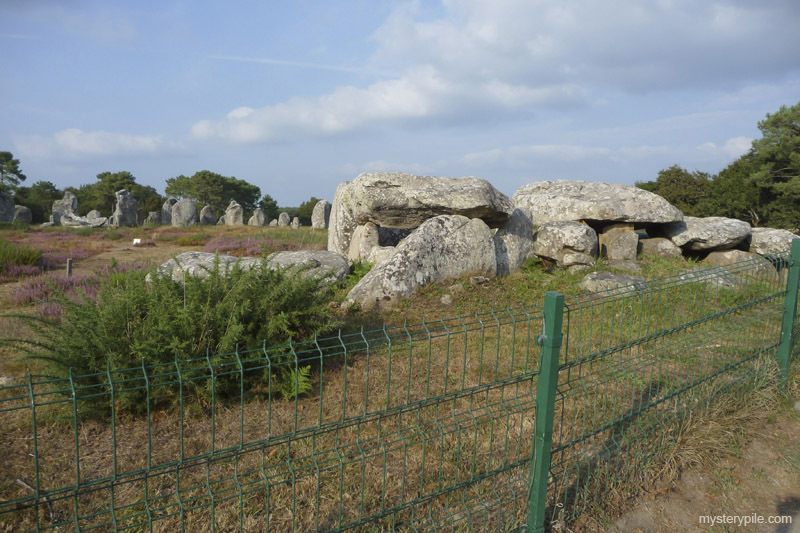 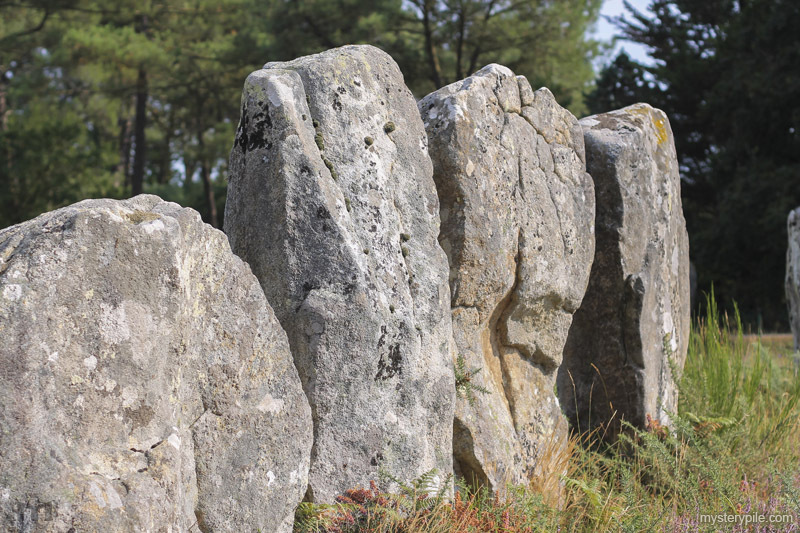 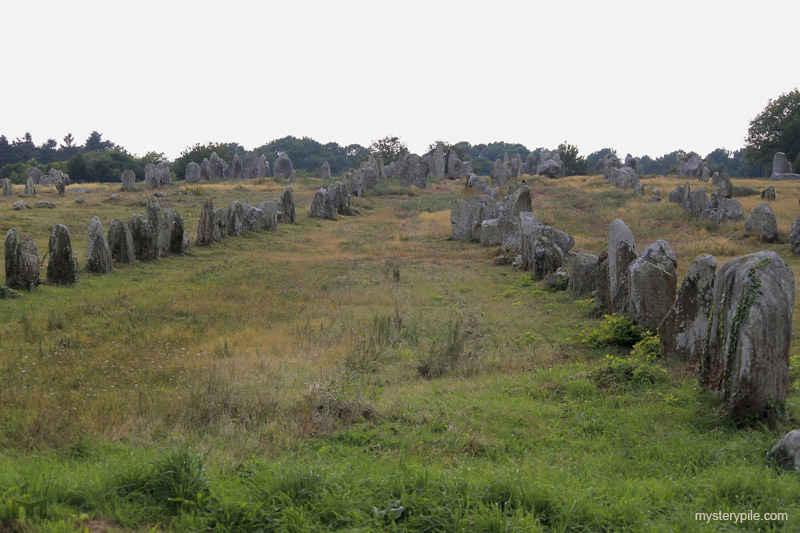 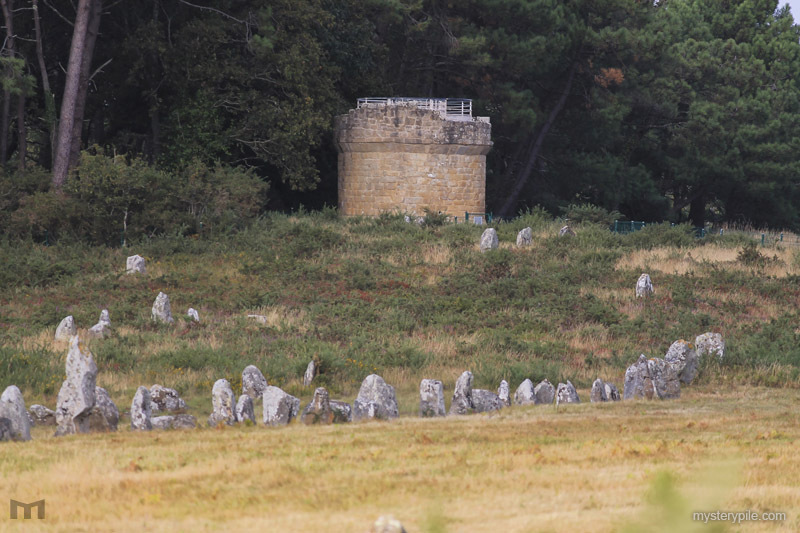 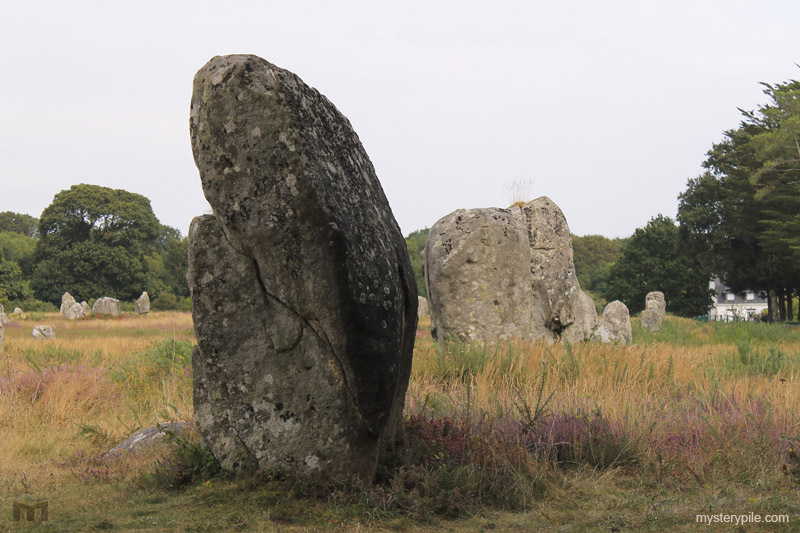 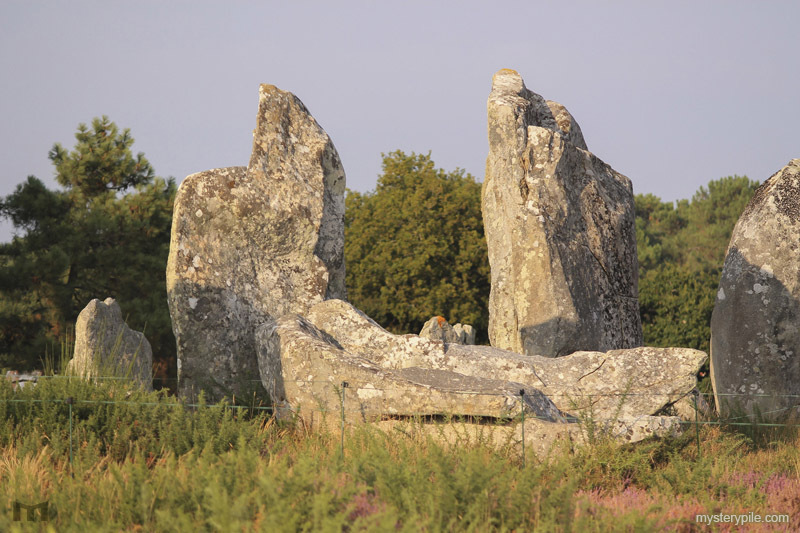 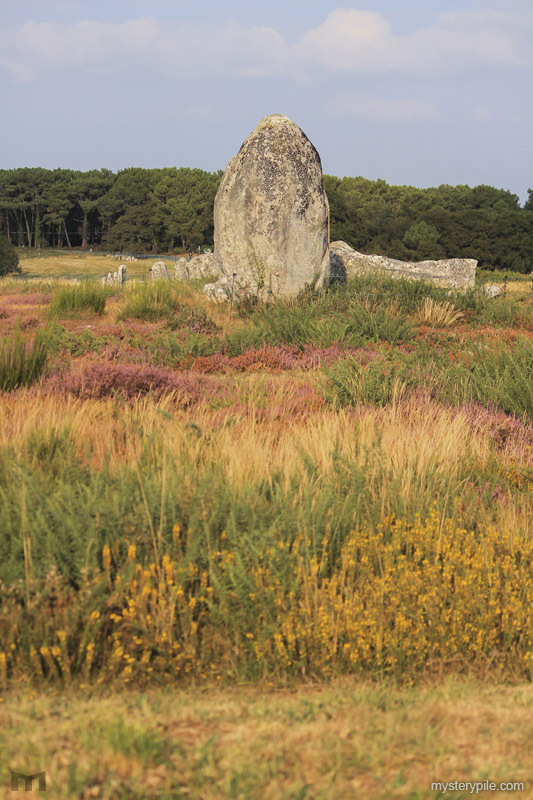 Truly one of the most puzzling megalithic sites in the world is a very large field containing over 3,000 monoliths weighing between 20 to 350 tons each, outside of the French village of Carnac. 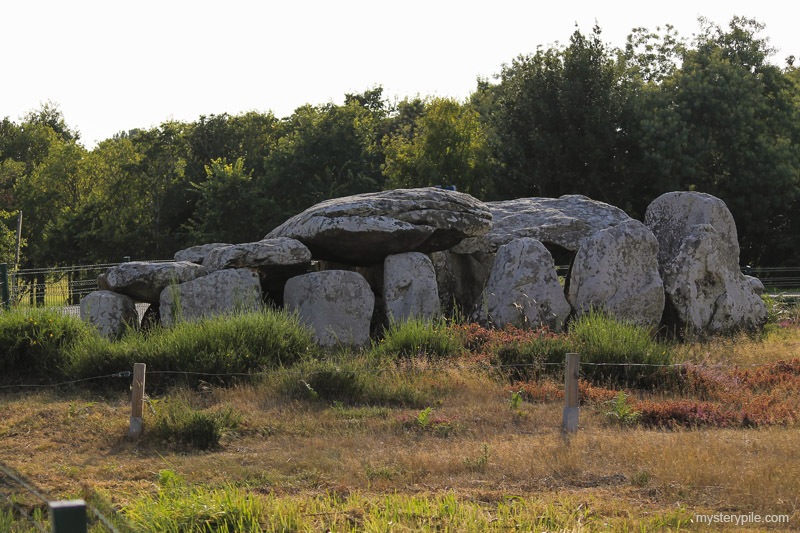 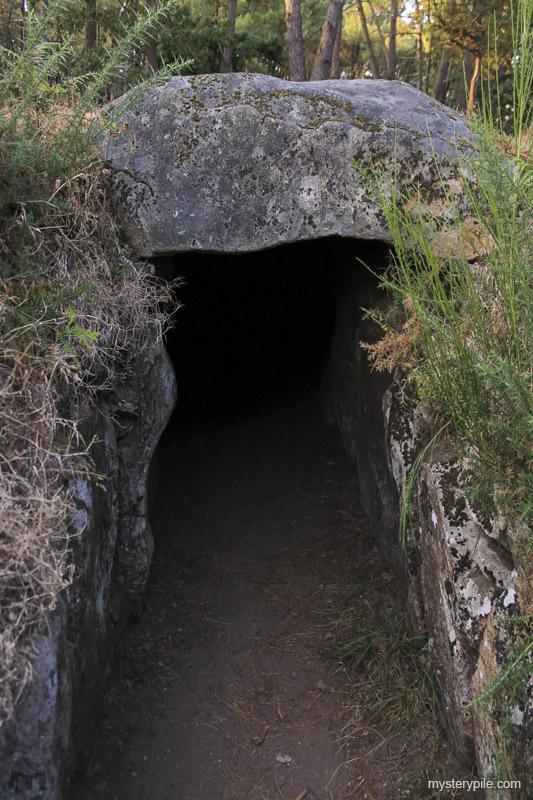 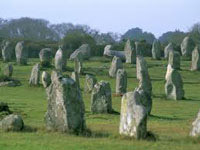 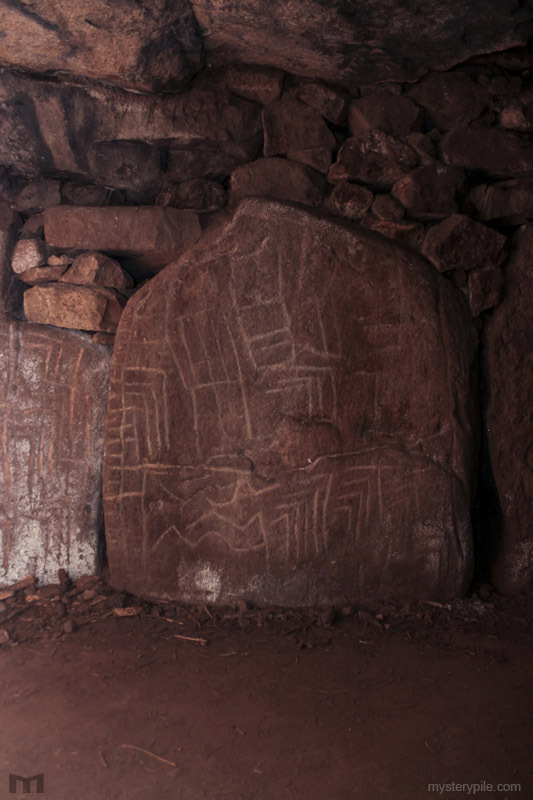 Carbon dating places some stones to be as old as 4,500 BCE during the Neolithic period. 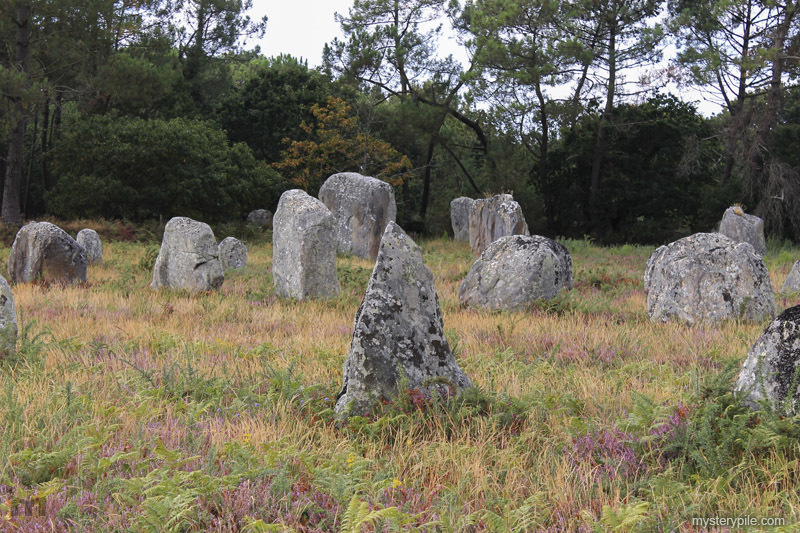 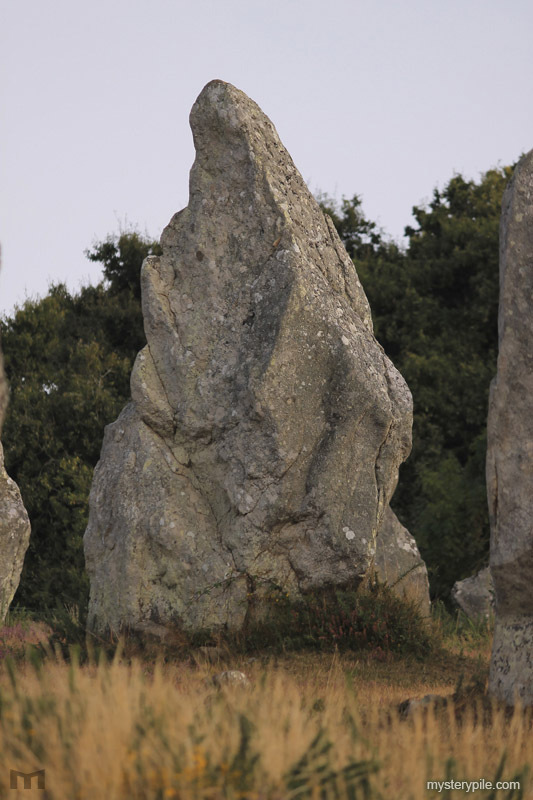 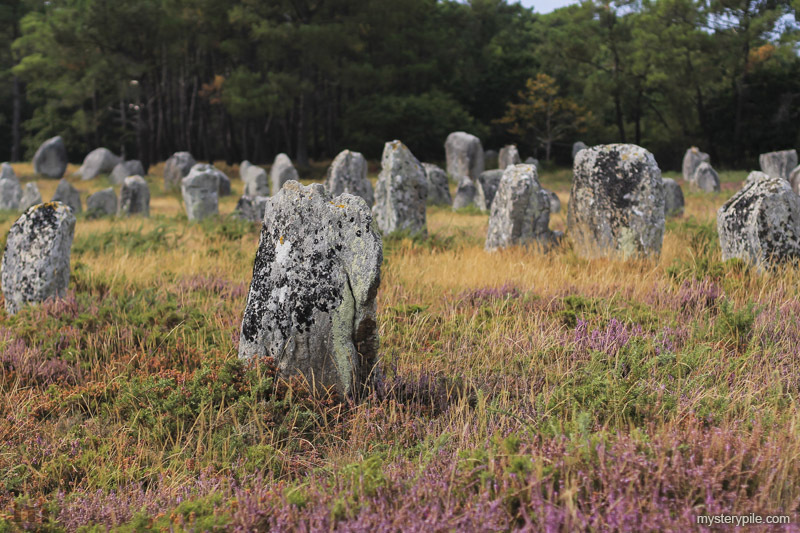 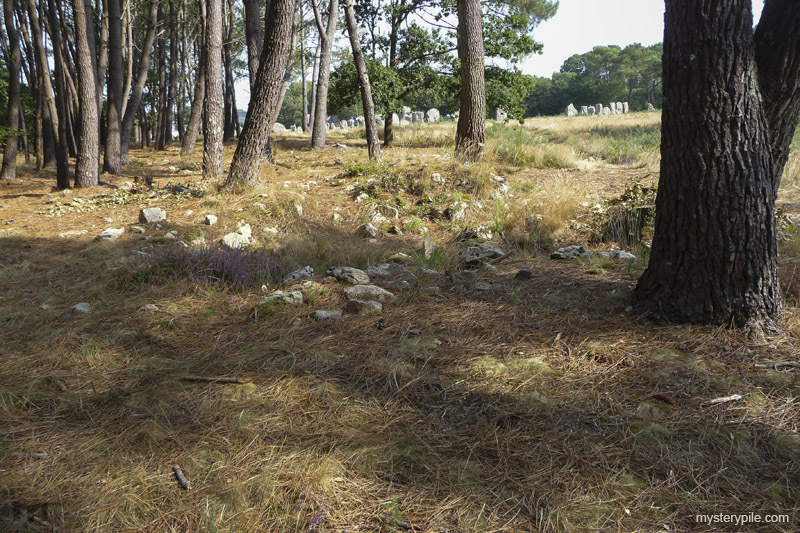 Many of the Carnac stones are arranged in different alignments, some of which accurately display mathematical concepts such as Pythagorean Theorem thousands of years before first documented by the theorem's discoverer, Pythagoras. 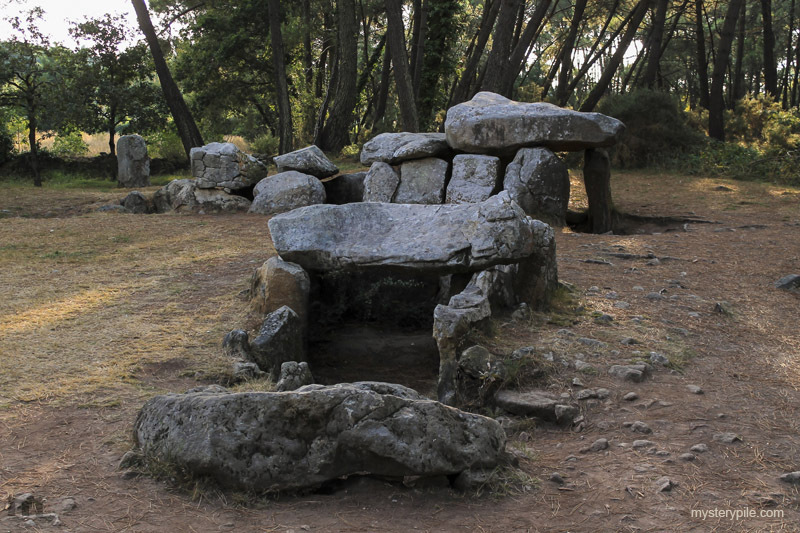 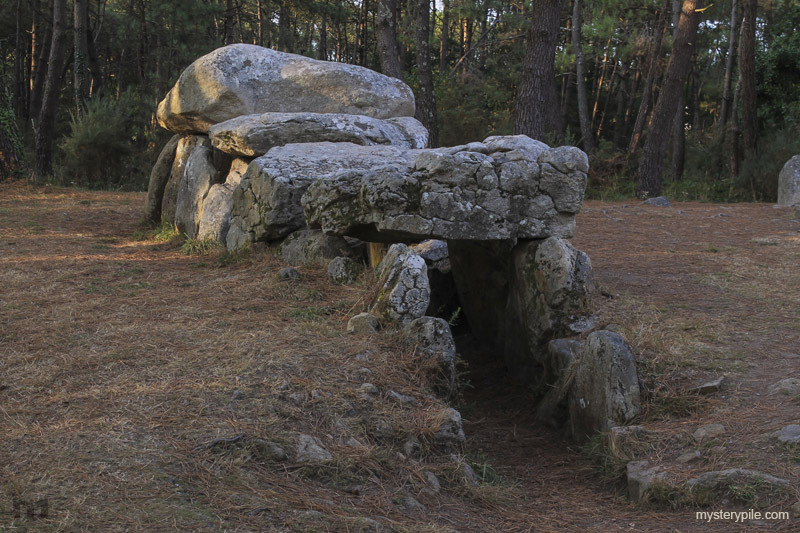 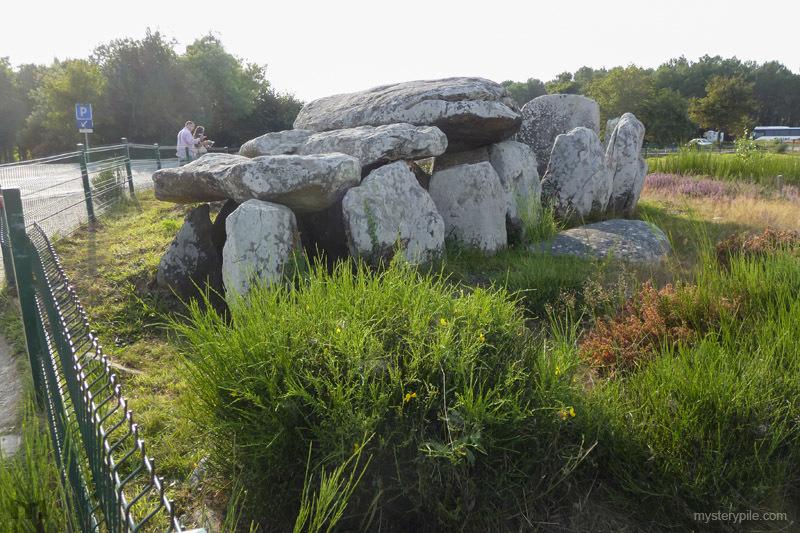 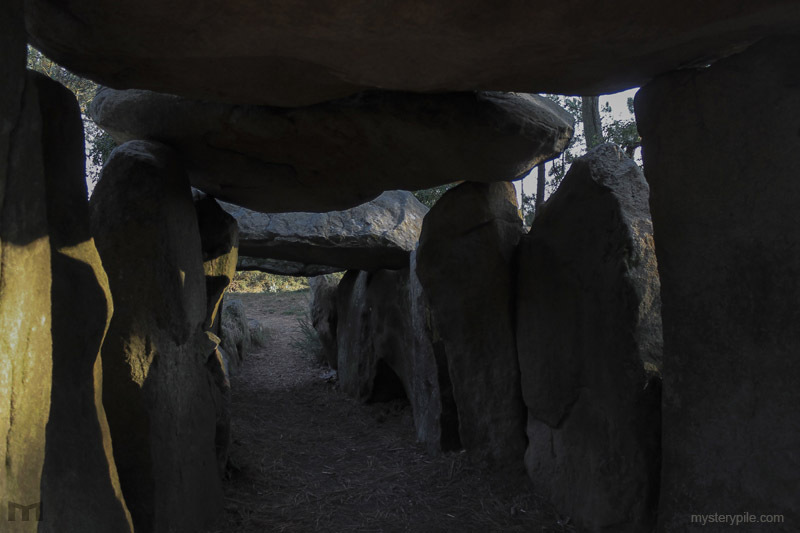 Among the rows of monliths are very large tomb dolmen consisting of a large capstone resting on several pillars. 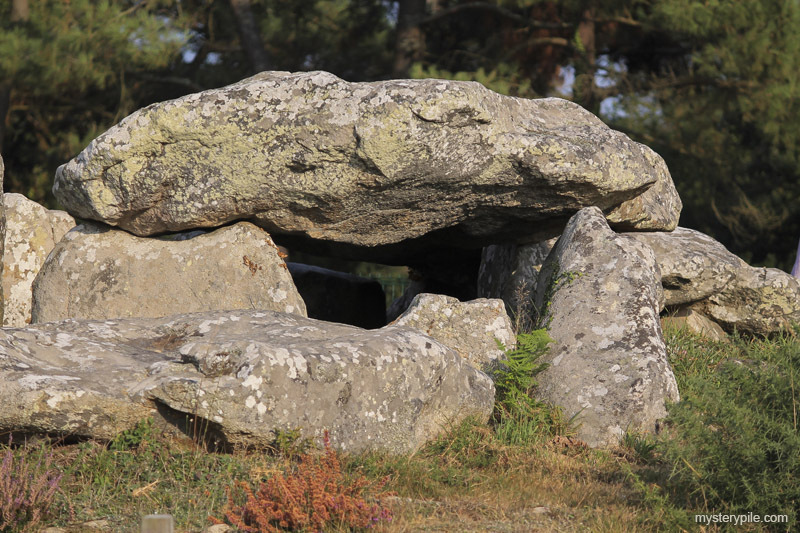 One of the most famous examples is the dolmen of Crucno found at Breton Village to have a 40 ton capstone resting on 9 pillars. 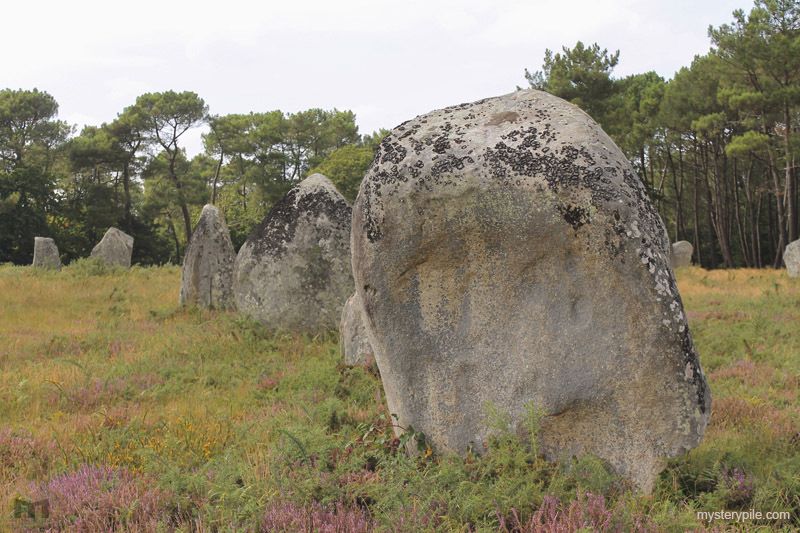 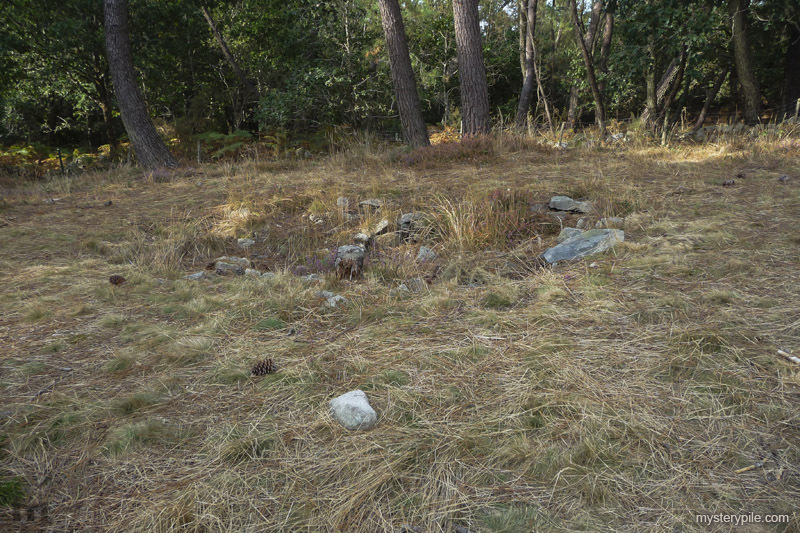 The interesting formation, aside from man-made dolmen, seems to resemble that of a volcanic fall-out field, whereby a significant eruption like the Massif Central, could potentially create these types of rocky out-crops. 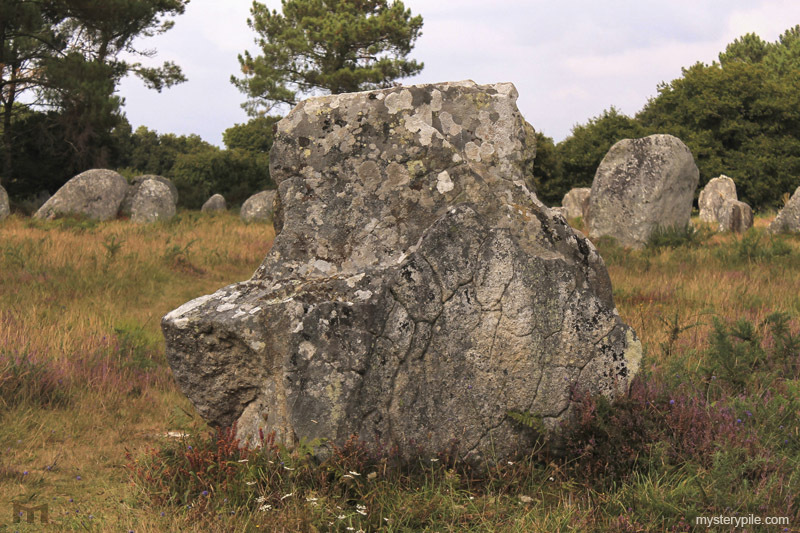 A volcanic eruption, however, does not explain the distinct mathematical arrangement of these giant stones, unless of course, lava and crust deformations utilize Pythagorean Theorem. 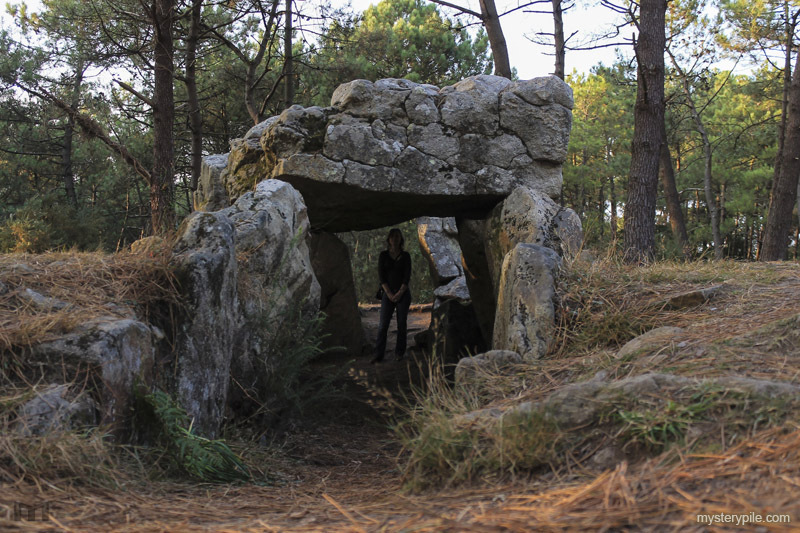 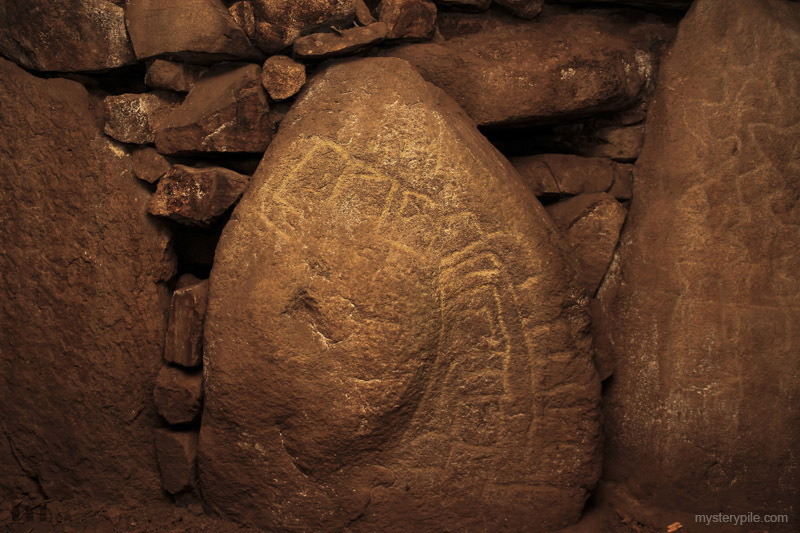 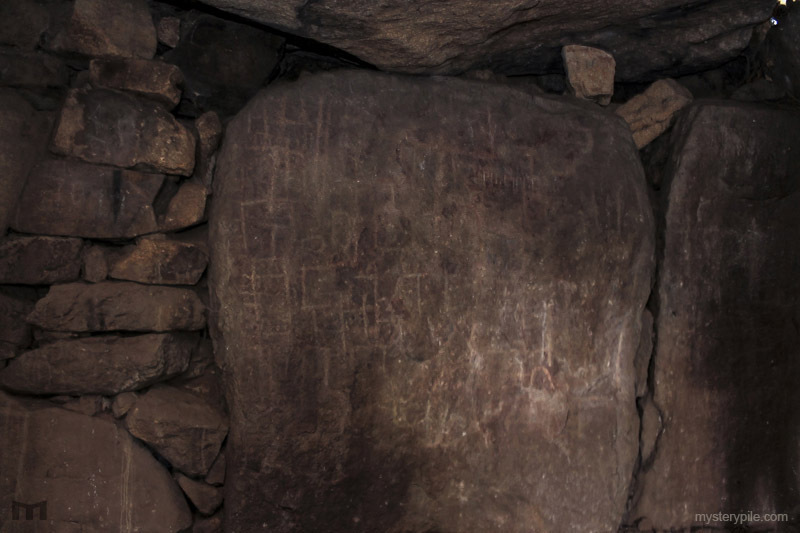 Mysterious inscriptions are found inside some of the Carnac dolmen that depict lined designs and shapes in clear patterns. 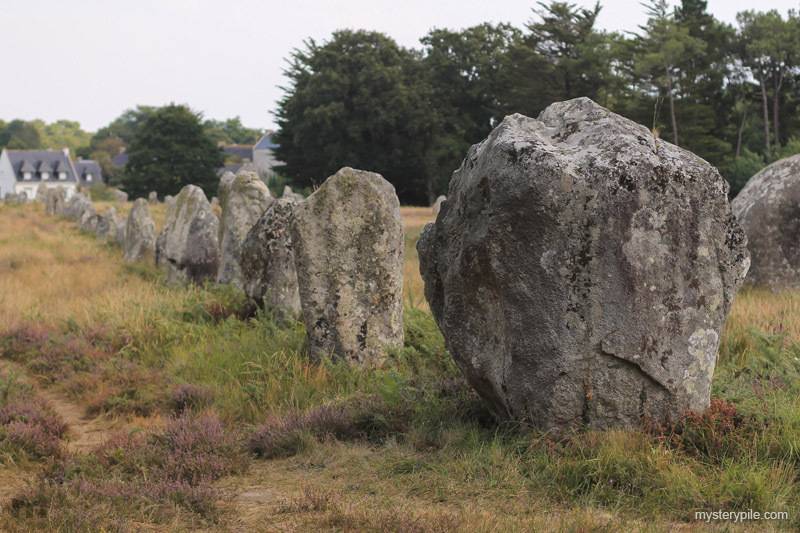 Perhaps these carvings describe the field arrangement, purpose of the Carnac stones, or information about the builders themselves.